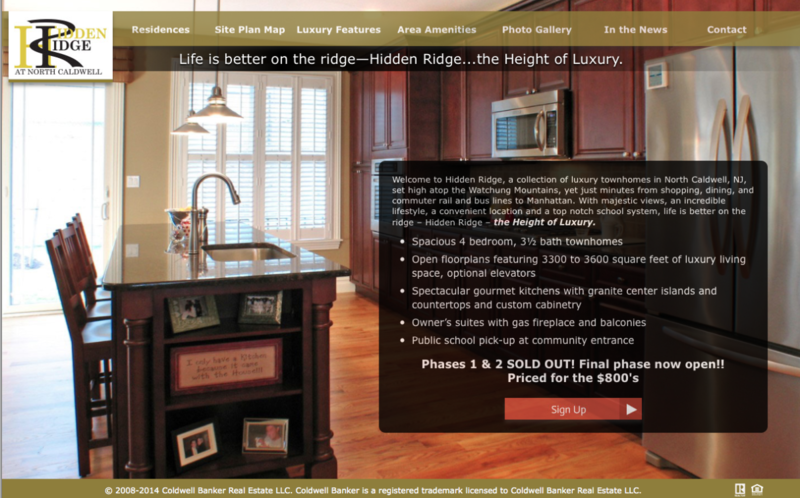 Just completed a site for Hidden Ridge, a luxury townhomes in North Caldwell, NJ. I loved the idea of doing a cover photo in the background, especially for the Home page. I wanted people to real see the product. View site.